Back in grade school, when you first started to get exposed to the dreaded multiple-choice standardized test, one of the first universal strategies teachers made sure to knock into your head was the use of the process of elimination. If you don't know what the answer is, eliminate the options you know aren't the answer, and your chance of getting it right increases... sometimes to the point where the right answer is the only one left. The same goes for picking stocks, believe it or not... with the one major difference being the number of choices you have. 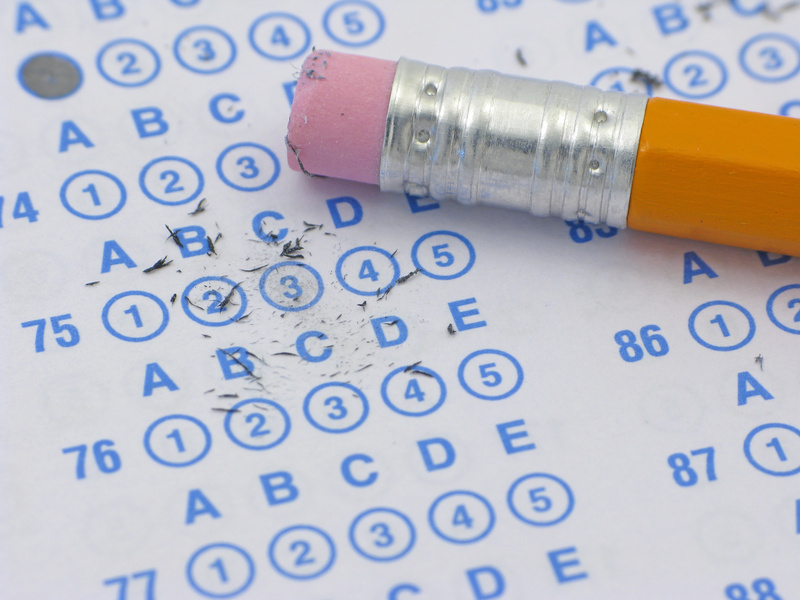 Standardized tests, like the SAT, typically give you five options. With stocks, however, your options run in the thousands. Even when you're dealing with microcap companies — companies with market capitalizations of no more than $200 million — you're still dealing with a field that consists of about 19,700 companies. So eliminating just a few here and there does next to nothing to increase your chances of success... You need to cut major chunks from the field to have any chance of raising your odds. I've been experimenting with this concept for quite some time now, and believe it or not, I believe I've found a way to effectively narrow the selection down by a significant margin. In a five-option multiple-choice question, eliminating three of the options leaves you with a 50/50 chance of getting it right on a wild guess. In fact, once you get through the basic arithmetic I'll show you in a few seconds, you'll find that if your goal is to find stocks that will give you reliable, strong returns in the short to mid term, you can scientifically exclude more than 99% of the field with just four simple parameters. The presence of dividends — because profits for early-stage companies should go into reinvestment, not shareholder pockets. Things move fast in the world of technology... and that includes the profits. The biggest paydays only come to those who put their chips in at exactly the right moment, and that's why I'm writing to you today. As technology giants the likes of Facebook, Microsoft, and Google fight to dethrone the almighty iPhone, this tiny company could easily pay out 6,400% gains — or more — to those who secure an early stake. We search for companies with a positive cash/share ratio — because that means their doors will open tomorrow. We search for companies with a strong gross margin — because that means their business model works. We search for companies with a strong profit margin — because that means the company is naturally configured to expand. And finally, we exclude any company offering dividends. If you want dividends, stick to the blue chips. In the world of microcaps, we want to finance things like expanding payrolls and infrastructure. Starting with a field of 19,705 companies (with the only limiting factor being a $200 million market limit), the first parameter we put into our stock screener is a zero-dividend max. That cuts 19,705 to 18,927 — not a huge cut, but an important one. The next step is to apply a minimum profit margin of 8%. That cuts 18,927 to 700 — now we're getting somewhere. The next step is to set cash/share ratio to a positive value — in this case, 1. That cuts the field again to 262. And finally, we make a gross margin requirement of at least 40%. This cut gives us our final roster of just 89 companies. Just four easy steps, and we've decreased 19,705 companies into just 89 — effectively de-risking our decision by more than 99.5%. Now, does this mean all of the remaining companies will give you fast, eye-popping profits? Does it mean the 99.5% we cut out will all be losers? Definitely not. However, on a statistical level, you are far more likely to find success playing those 89 than you will playing the remaining 19,616. Also, keep in mind that as we cut out much of the risk, we've also cut out some of the upside potential, too. Want a five-figure gainer? You'll probably need to start with a company that's in a super early, pre-profit, pre-product launch stage (I'll touch on that again a bit later). That's just the nature of the beast. If you want reliable gains, you need to sacrifice some volatility. Sacrifice volatility, and you exclude some stocks that could skyrocket in short order. What I just presented to you isn't a system for finding strong stocks. Those "systems," for a lack of a better word, simply do not exist. This method does the opposite and systematically cuts risk based on known, well-understood principles. And it's been proven to work. In fact, my own portfolio was initially built on six stocks selected using exactly this method. Within three months of my recommendations, three of those six stocks had been sold in the portfolio for gains of 30%, 40%, and 70%. Two of the remaining three were still open positions, with low double-digit gains showing. Starting to become a believer yet? Or does it still sound too good to be true? Bear in mind that even after cutting that field down to 89 stocks, you still need to pare down those 89 — perhaps by another factor of 10. And that's where good, old-fashioned thinking comes into play. You need to consider the industries, the trends, the share structures. When all is said and done, the bulk of the work lies in taking those 89 stocks and turning them into a short list of four or five. I refer to this method as "Statistical De-Risking." That may sound counterintuitive when discussing an inherently risky breed of stocks, but applying it to the bulk of your microcap holdings is a wise move. For those of you who prefer the risk, though, rest assured: There is another way to filter — a way to exclude all but those companies with the absolute highest upside, risk be damned. That method is called, appropriately, "Statistical Re-Risking," and I'll get to telling you all about it in the weeks to come.